Maastricht University aims to improve its quality as a global institution. The Maastricht University Scholarship Programme, with its goal of stimulating talented students to pursue educational programmes in Maastricht, helps the university live up to this ambition. 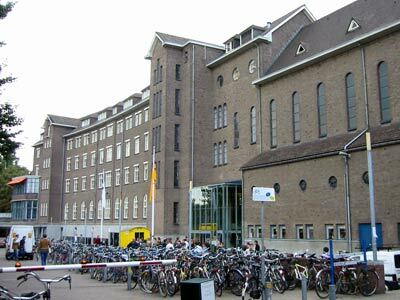 Information about scholarship possibilities at Maastricht University can be found on this website. These include the UM High Potential Scholarships and UM Company Scholarships. All Master`s programme and scholarship applications will be assessed by the Faculty at which the student has applied. First of all, the Faculty will assess the Master`s application. Once the student is accepted for a Master`s programme, the Faculty will assess the scholarship application. The Faculty will send a list with eligible candidates to the Maastricht University selection committee. This committee will make the definitive selection of the nominated candidates. All students who have applied for a Maastricht University scholarship will be informed about the outcome of the selection procedure early May. Students who have been awarded a scholarship, will receive an official acceptance letter, which must be signed and returned to the Scholarship Office. The application procedure for Maastricht University study programmes can vary. Please check the application information for master`s programme / bachelor`s programme. The application deadline will be 1 March 2012. To obtain a scholarship, you must have been accepted for a master`s programme. The scholarship application form must be sent directly to the following Faculty. Demikianlah informasi Scholarships for International Students at Maastricht University kami sampaikan, semoga bermanfaat.